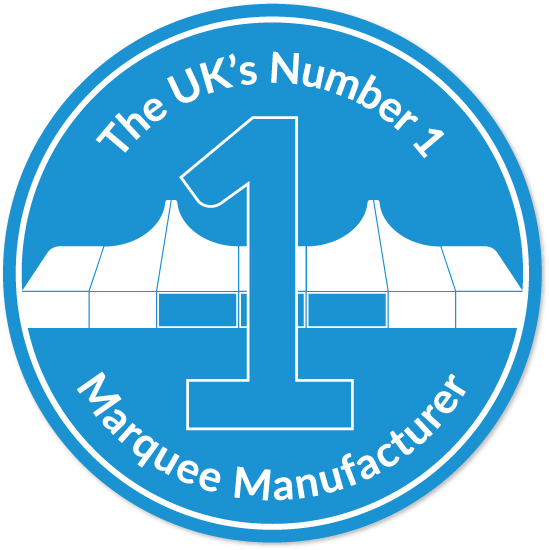 Our Coverspan Plus Marquee Standard profile structures allow flexibility in installation and layout while at the same time providing high strength against wind and weather loads. These structures require little perimeter clearance, and multiple leg heights give eave height versatility. The bare bones structure of the Coverspan marquee includes an aluminium box section frame made from anodised aluminium extruded four channel beams. The channels, known as kedar tracks, run the length of the beams and are used to accept kedar, the solid nylon extrusions that are attached to the PVC fabric covers that make the fabric integral to the frame. Roof panels can be further tensioned by use of a bar tensioning system if required. Beam connectors used to connect legs to roof beams (eave knuckles) and roof beam to roof beam (ridge knuckle) are made from hot dipped galvanised European steel. Anchoring is achieved by means of wrought iron stakes through base plates attached to the legs of the structure.